The much-anticipated weekend came after a long wait but passed quickly. Time flies when you’re enjoying it! The event kick-started with Darren and Fred’s West Coast Swing workshop. About 70 people signed up for the workshop to learn some basic West Coast Swing steps as WCS is generally quite unknown here in Malaysia, but widely popular among line dancers abroad. With Darren’s expertise in breaking down dance steps, everyone on the floor managed to get the steps and able to west coast along with the music. With Fred’s fun ways, there were a lot of laughter. Basically everyone is satisfied with the workshop. We learned, the basic 6 count west coast rhythm, basic steps, the right-side-pass, and the whip with 8 count rhythm. After the 2.5 hour workshop, we stop for a short tea break and just west coast socially, trying out the steps with different partners. A few lucky ones get to partner with Fred and Darren themselves, which was really awesome. Check out the dances! They are great! Everyone is a winner and I will be having these dances in my next events! White angels, fairies, princes and princesses trickled into the Hee Lai Ton restaurant as early at 10 am with Christmas carols in the air. With almost everyone dressed to the “Dazza-ling” White Christmas theme, the restaurant turned into a myriad of white, true to the White Christmas feeling. With almost 300 guests coming from as far as USA, Australia, Indonesia, Taiwan, Singapore and local Malaysians (Klang Valley, Perak, Penang, Negeri Sembilan, Pahang, Kelantan, Johor, Melaka), it was indeed a gathering of old and new friends with the same passion, line dancing. To top it off, the stage was immaculately decorated (Thanks! 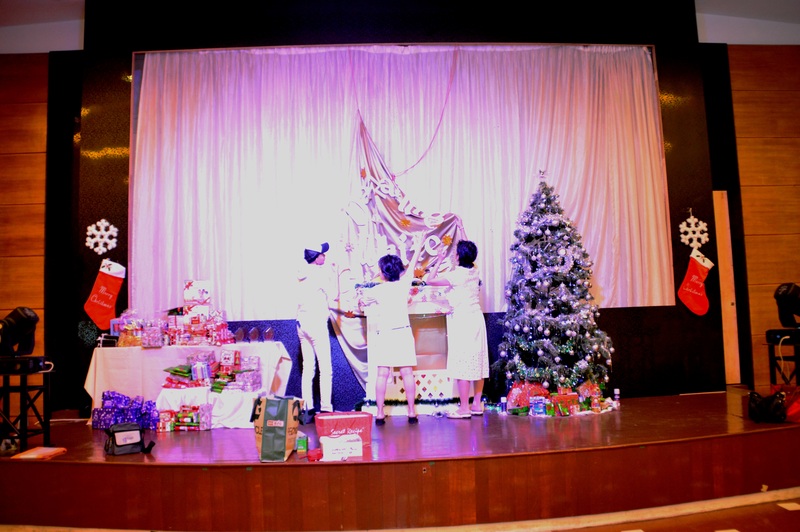 Benedict E) with a fire-place with flickering flames, a 8 feet high Christmas tree (Thanks Ivy Low) decorated in silver and white ornaments and plenty of gifts wrapped and arranged under the tree and all around the stage. Thanks to my friends who put up the decorations in approximately 3 hours!! In between the 70 lined up current and classic line dances, Darren taught the crowd 2 of his recent choreography. The first one LOVE REALLY HURTS was a simple jive to an upbeat music by Billy Ocean, Love Really Hurts Without You. It’s 32 count 4 wall and has multiple restarts to phrased to the music. Later on, Darren taught a dance which was just choreographed with Fred, YOU, ME AND THE MUSIC to Lemar’s song of the same title. This is a funky 2 wall high intermediate line dance but the crowd absolutely love this one. Rebecca Lee, the well-known line dancer turned hip hop star in Malaysia, pulled off a superb high energetic performance with her students, which included dances like Mr Saxobeat and Darren & Fred’s own Trespassing, much to their enjoyment. The finale of the performance was topped off with the appearance of Rebecca’s hip hop friend doing a flip. Darren and Fred were also requested to do a dance demo of Darren’s dance co-choreographed with Roy Verdonk, Roy Hadisubroto, Raymond Sarlemijn, and Pim van Grootel. It’s a really beautiful dance and with Darren’s and Fred’s superb dance technique, the demo became more like a performance! Christmas is a season of giving. More than 150 lucky draw and 250 table draw prizes were given away to lucky winners. 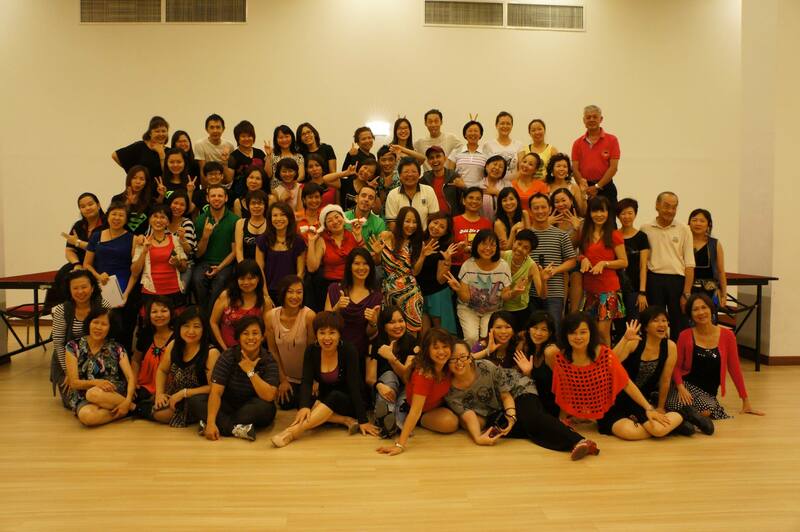 Sponsors include Yu Yu Dance Shoes of Cheras and Mary Kay cosmetics who sponsored the main draw prizes. Everyone went home with more than a Christmas gift! There were also pop quizzes being asked on the FB event page to set excitement before the event and some of the quick-witted winners were: Leong Mei Ling, Soo Wong, Jessie Cheong, Debbie Lem, Lee Ros and Andrea. 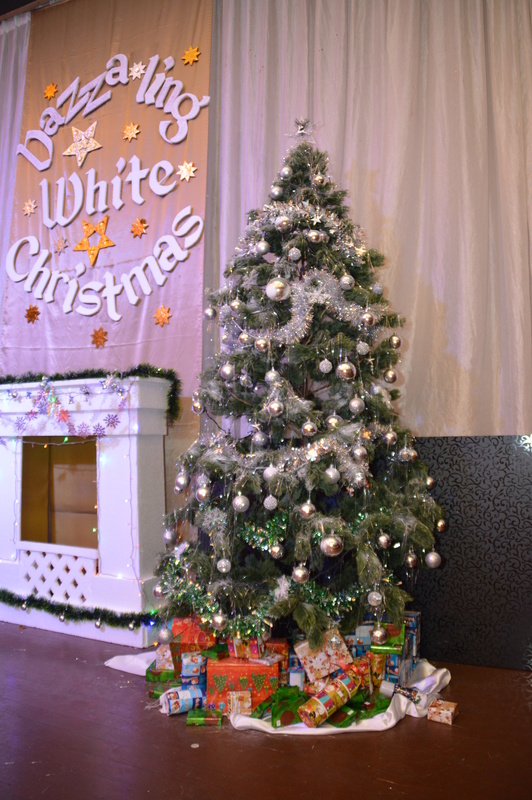 The final live quiz asked was why was the theme of the party chosen to be “Dazza-ling White Christmas” – Leong Mei Ling hits the bulls-eye with the answer, “Dazza is Darren’s nickname, while White comes from Fred’s surname, Whitehouse”. When the clock stroke 4.30pm, many line dancers were reluctant to leave. Many still took the opportunity to pose for photographs with each other and of course with the special guests Darren and Fred. Many wonder if they’ll get to see them again. Well, let’s make that a 2014 Christmas wishlist… til the next event!